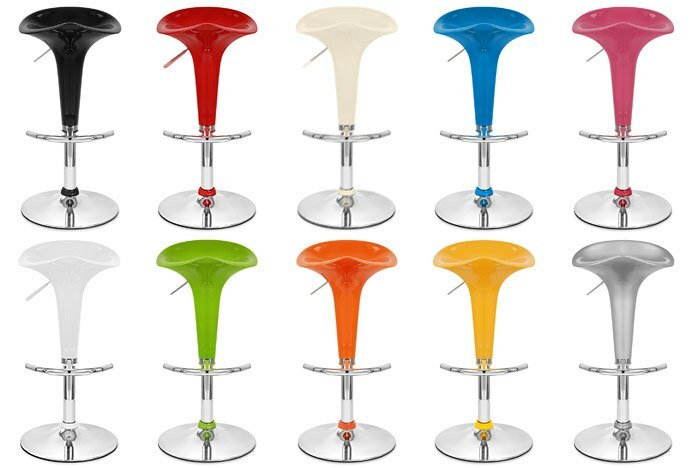 When choosing your bar stools, colour is of prime importance if you want to complement the décor of your room or match existing furnishings. Here at Atlantic Shopping, we offer an extensive colour range meaning you are spoilt for choice, and able to select a product based on the style or image that you want to recreate. Whatever this colour preference may be the simplest way to find your perfect design is to use our refined search tool, located on the left hand side of our product pages. 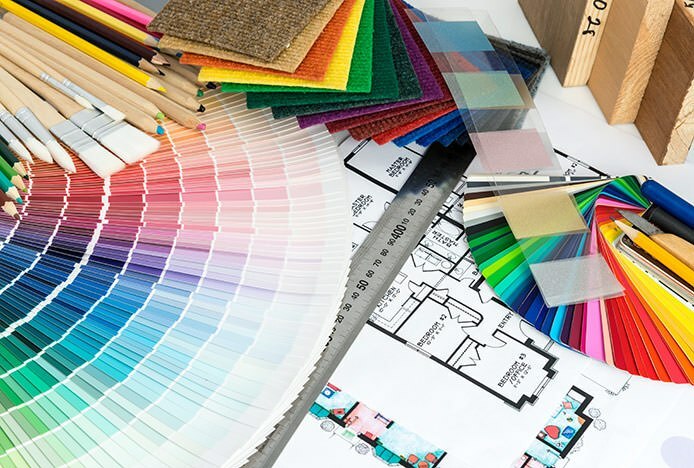 By clicking on your desired shade, you will see a filtered listing of all the products that we offer in that specific colour for a customised search suited to your requirements. 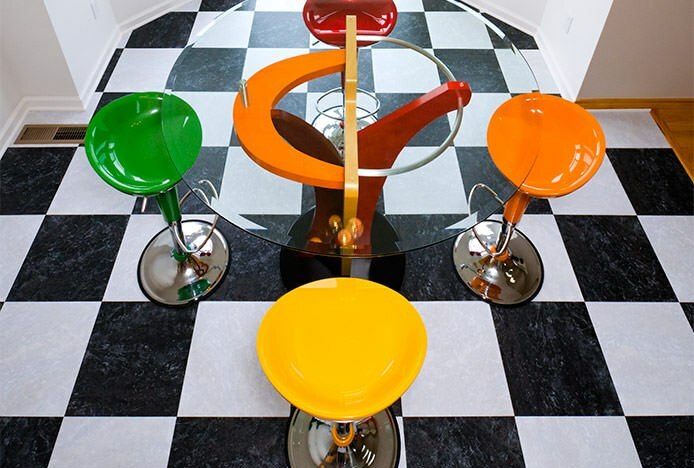 Although the choice of colour is often the focal point when choosing bar furniture, there is no right or wrong answer as selection generally relies upon individual taste. Additionally, in an era where contrast is a popular way of making a decorative statement, one may wish to use stools of different or contrasting colours in their bar area in order to make a fashionable statement or accentuate the main features of the particular setting. One example of this is using red designs in a monochrome kitchen; it gives an eye-catching feature whilst highlighting the minimalist style of the decor. For those looking for an injection of more classic style, black stools may well be the perfect choice as it never ages and is the most resistant to stains and marks and hence is consequently our most popular colour choice. Our designs give the option of either a plain black seat, as well as more unique or satin painted finish designs, as is found with our popular Oslo Bar Stool Black. If you are hoping to give your desired location a contemporary look, a white or cream seat colour may be the most obvious choice. Available in a variety of materials such as ABS resin, faux leather or sumptuous real leather, there is sure to be a design to suit your needs. Brown and cream colours characterise each other perfectly, and can be considered as an innovative take on the more traditional black and white colour scheme. Therefore, within a cream setting, brown bar stools are sure to set off the room beautifully, and vice versa with a brown setting and cream stools. In addition, brown is a versatile colour that can be placed in a number of differing coloured decors within your home to simply give a minimalist alternative. Timeless pieces that will add subtle character, wooden bar stools are definitely a style to consider. Our wooden styles are offered in a number of organic finishes and colours that will suit your interiors and give a sense of uncompromised natural beauty. These include contemporary, light coloured wood such as oak, through to richer, walnut shades of seat that exude a traditional feel. Also, wooden stools often contain seat pads available in a range of colours, meaning it is effortless to find your perfect combination. For a modern yet retro feel, many turn to a simple, grey or silver colour that helps to present a futuristic image. Red is also a popular option for the more image conscious wishing to make an impact, and can be purchased in many deep or vivid shades. We also provide a number of pink designs to give a glamorous boost to your bar, whilst our expanding collection of purple stools give a subtle and similar effect. "More vivacious tones can be used alone, or mixed with other colours to add an extra bit of spirit to the decor. 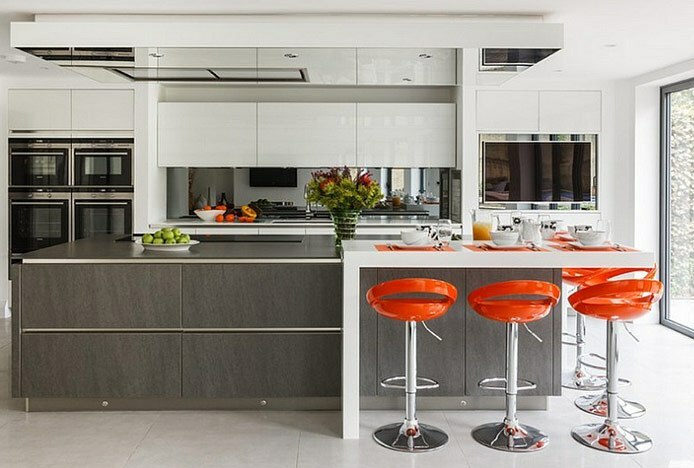 Orange, yellow and green are vibrant colours that will suit a playful looking bar area. Catching the eye, they also brighten any room with their funky tones and look superb in materials like ABS plastic. These colours are also prevalent in Acrylic, catching the light in a stunning way." To make things easier for our customers, our photographs are portrayed as close to the actual colour of the stool as possible. However, there is always the possibility that differences can arise due to the Gamma setting on individual computers, which may alter the colour slightly. A step-by-step guide and video, helping you to put together your new bar stools..
Brighten up any space with our fabulous collection of vibrant bar stools..
Black is the new Black: discover classic black bar stools for your home..
Find out why neutral tones are experiencing a well-deserved revival..